In 2013 television watching was the nation's foremost recreational activity. Since the introduction of pay-television services in the 1990s watchers have been able to choose from an array of channels and subjects. 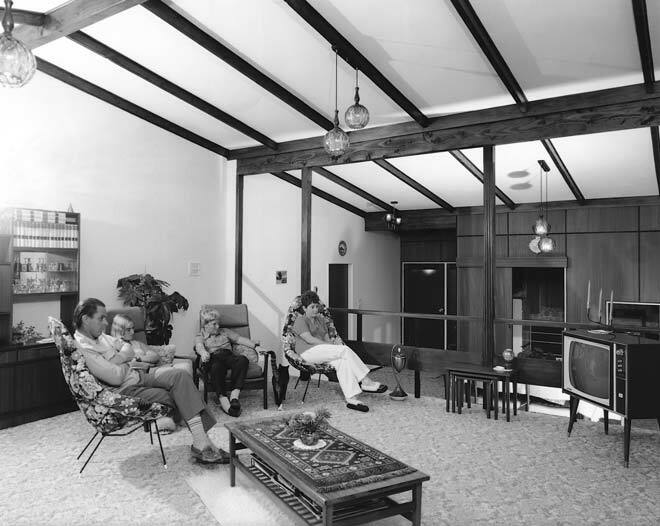 This family watches in 1974, the year after colour broadcasting began. They have the expressionless faces characteristic of television watchers.